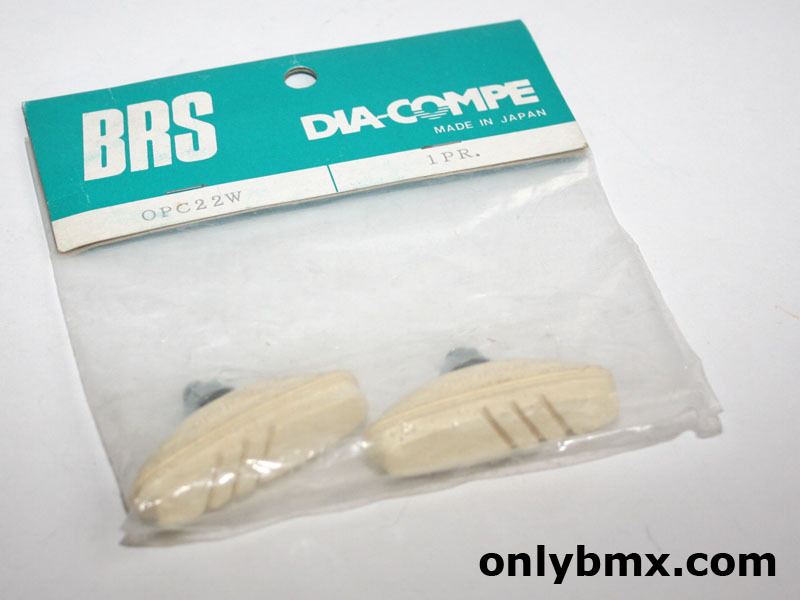 New in the packet freestyle BMX brake pads by Dia-Compe. Use these white brake pads on your old school freestyle BMX bikes such as the Haro Master or Haro Sport, GT Pro Performer and others. These were standard equipment on many complete freestyle BMX bikes. 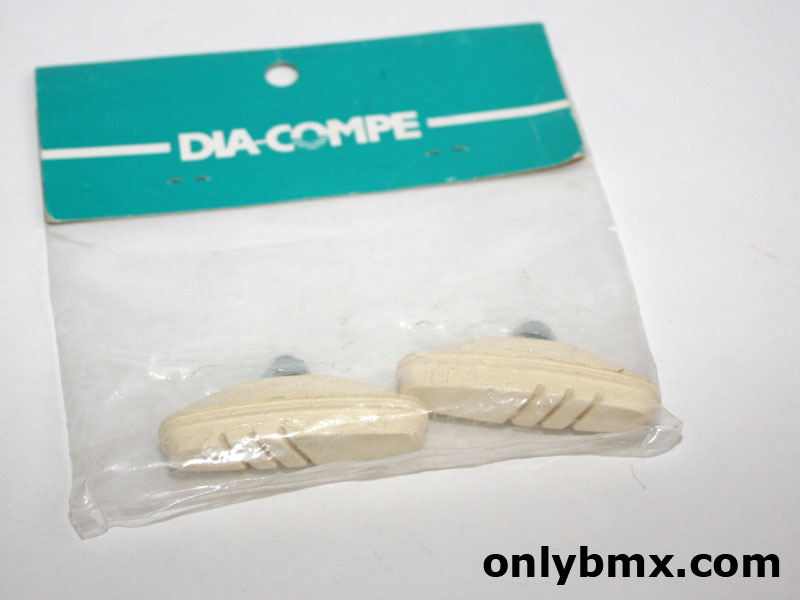 Suitable for the regular brake calipers and not the Dia-Compe AD990 style where they didn’t have the threaded post part.